Japanese ladies it would seem are definitely getting bigger in the breast department, as not only does the recently coined phrase ‘bon-kyu-bon’ (big-small-big) apparently confirm this new physique, but one or two undulations are apparently becoming so curvaceous that they are somewhat unflatteringly being compared to cows’ udders. 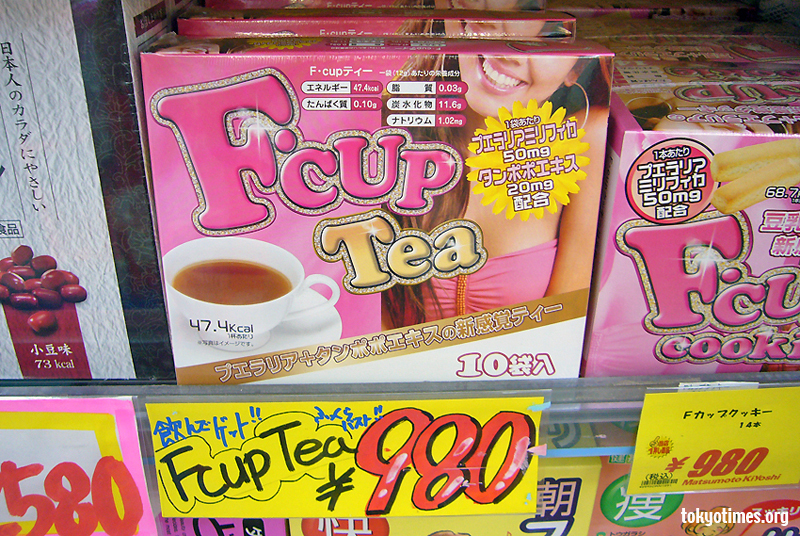 Not that the whole female population has suddenly become big and bouncy of course, although for those looking for a bust-boost of sorts, one enterprising Japanese company has been successfully selling F Cup Cookies — an edible enlarger that needs little in the way of explanation. However not content with only light snacks, the same manufacturer is now offering a similar type of transformation in tea form. But with both products promising considerable to say the least cup sizes, one can only wonder at what a tendency towards afternoon treats of tea and biscuits could produce. In fact, it may (or indeed may not) be such a fondness that explains the far from natural forms of the rather freakish-looking but unfathomably famous Kano sisters. 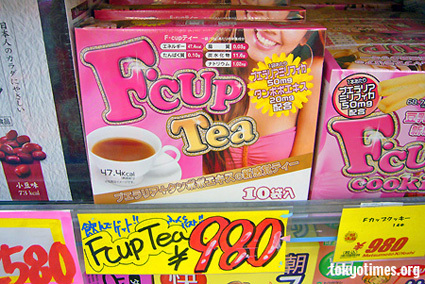 Arguably giving the phrase ‘tea for two’ a whole new meaning. Even when there’s only one of them present. We are imorter,aent and distributotrs of mineral water,energy drinks and fruit wine,brest boost beverages and we are recently looking for a firm that can be able to supply us with the above mentioned product in a large scale . Thank for your understanding while waiting for your quick response via this email zico_consultant@yahoo.com . We are importer,agent and distributotrs of mineral water,energy drinks and fruit wine,brest boost beverages and we are recently looking for a firm that can be able to supply us with the above mentioned product in a large scale .